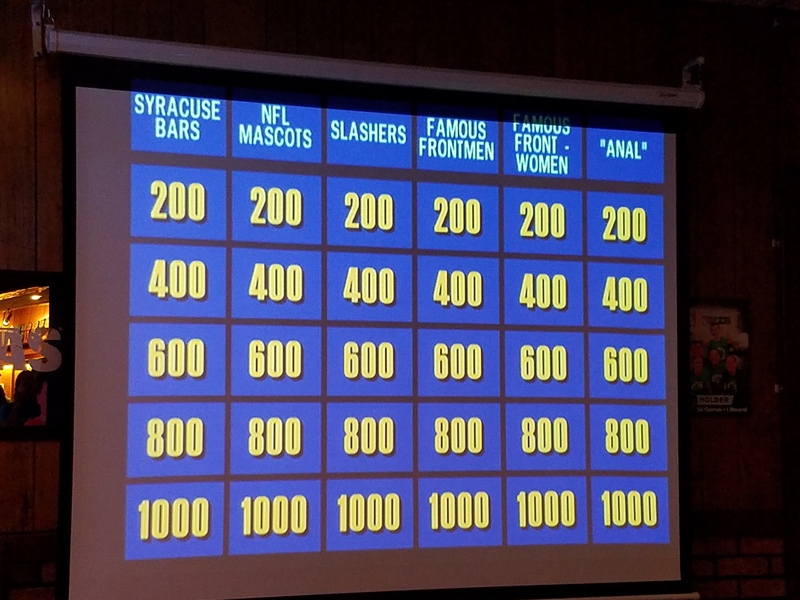 I’ll take “the rapists” for $1000, Jim . . .
You know which game was not a “Turd Furgason” of a game? Tuesday Night Lights vs. Some Innuendo. After winning the first two games, Tuesday Night Lights built up a big 9-1 lead (am I remembering right?) in the third game. That’s when Some Innuendo made a huge comeback behind shots like the one below from Keith Curerri. They ended up winning the third game 14-10, and salvaging one out of the three in the series. Two rookie teams faced off when Burkett played Danielle & Tony, but Heidi Burkett didn’t play like a rookie in video below where she shot an awesome ace – she’s like a biscotti, people think she’s this sweet cookie, but she’s actually this super hard thing that nobody knows what she is or what she’s for. Burkett won the first two games of the series and Danielle & Tony came back to win the third game 14-5 to salvage a win. 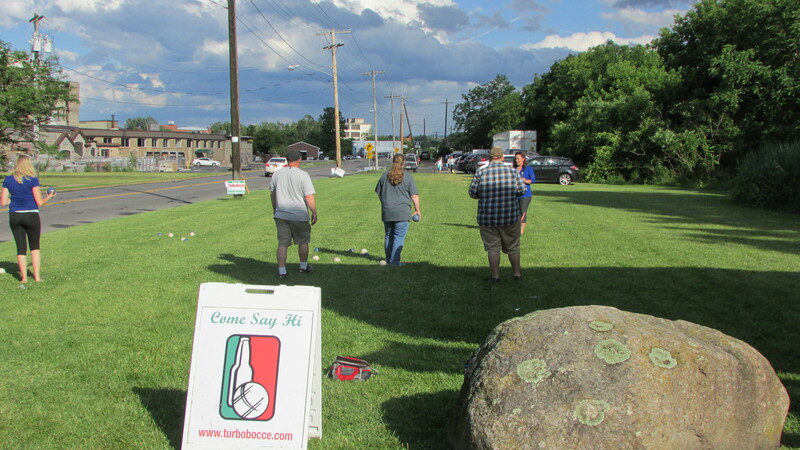 Check out Christina’s great bocce in the game between Boccesaurus Rex and Jeff & Tina. Continuing the trend, after Jeff & Tina won the first two games of the series big, Boccesaurus Rex won the third game to get 1-2 series record. 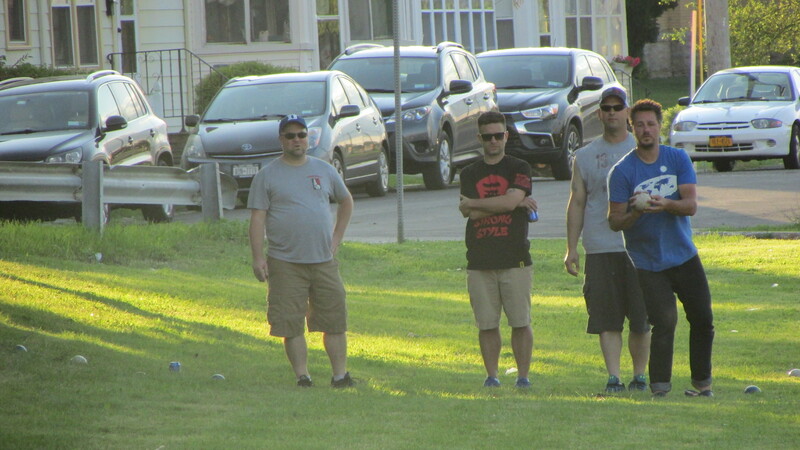 Two of Turbo Bocce’s top teams played this week when Seek and Destroy took on Blue Balls, and I got to practice my shady photograph from the bushes skills. Apparently those shady bush photography people are onto something, because I managed to film this sweet shot from Robb Jones. Of course, when these two teams play most of the shots are going to be good, so there might not be any magic here after all. Seek and Destory won the series behind two very tight 11-9 and 13-10 wins before Blue Balls (like all the other teams) came back and won the final game 11-6. Check out one of Siobhan’s 20 points here! Probably not the best point she scored, but its the only one we filmed. I didn’t get video of it, but our last 2 champs faced off with Black Jesus winning 2 games to 1. Twins Arnold & Devito had a huge week beating a very good Dazed and Confused team 3-0 and rocketing up the standings. For clarity, the rookie of the year award goes to the rookie with the highest point total, and speaking of rookie of the year, our shot of the day goes to rookie of the year candidate Nicole Vandusen. After bocce, most of us went to the Ukrainian Home, and let me just say that going to bocce without stopping at the Ukrainian Home for a drink afterwords makes no sense, like wearing pants in your own home. Jim Flint (after scoring 18 points on the bocce field) put on a Jeopardy game for everybody, and let me tell you, he’s even better at Alex Trebeking than he is at bocce. My favorite new Jeopardy category … they give you a celebrity and you give who F’ed their mom (otherwise known as their dad). Out of the big crowd, Andy Thompson, Bridget Lavin, and Corey Bramhall were chosen at random to compete. Phil Martino, Rob Calvani, and Nikki Morales were respectively chosen to be their seconds. Everybody else in the crowd was put on one of their teams, if you were on the winning team, you got a free drink. 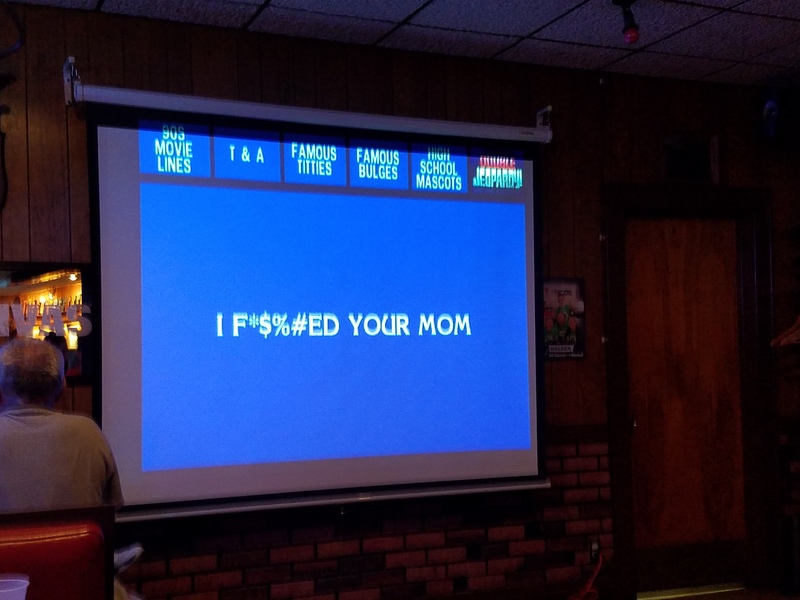 And from the I F’ed your mom category . . .
At the end of it all Corey Bramhall won, impressively getting the Final Jeopardy question right “What year was Turbo Bocce founded? ” If you’re wondering the answer is 2005. He won a shot of Jack Daniels Fire for everybody on his team. A pretty good way to rebound from an 0-3 day on the bocce field, if you ask me! One last bit of advice to last you the week. 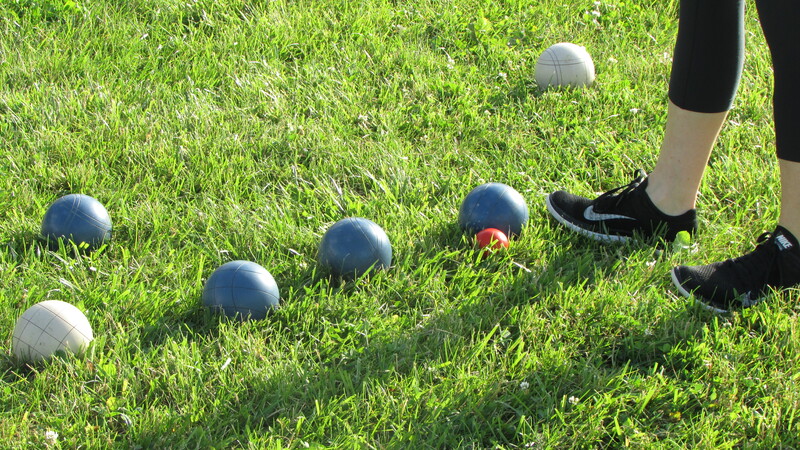 If you want to know how to succeed in bocce just remember the three P’s. Practice . . . Practice . . . and I forget the third thing. Parachutes maybe?